Halloween is around the corner! 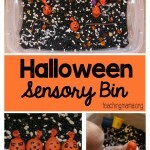 Here’s a fun monster activity that is not spooky, but rather great for math and sensory play! 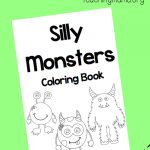 This monster eyes activity came to me while driving one day. In fact, many of my ideas come to me when I’m chauffeuring my kids around. 🙂 This activity turned out so cute and I’m excited to share it with you! 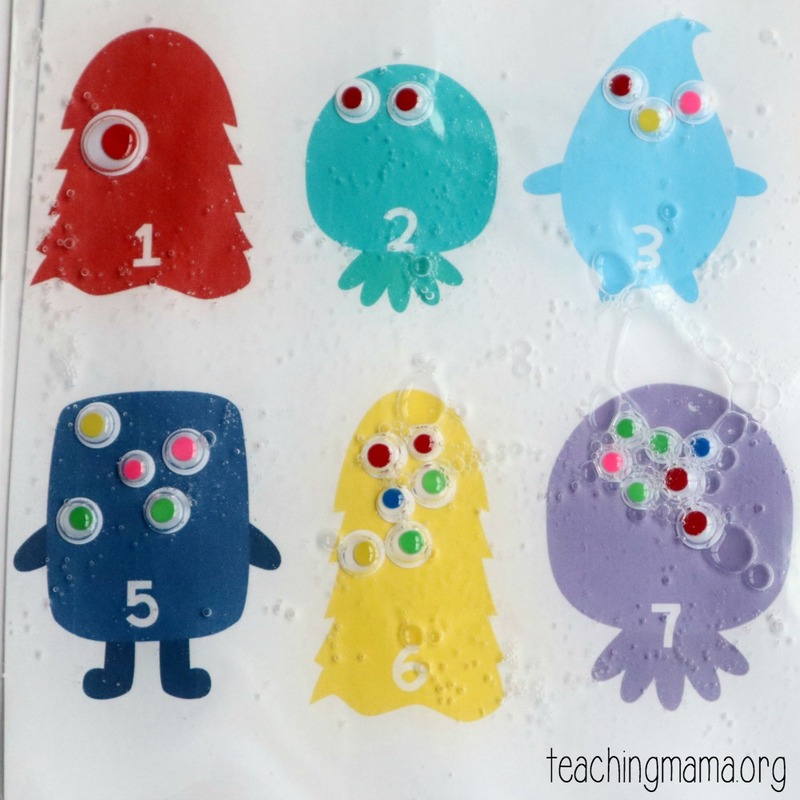 Tape the monster eyes printable to a tray, table, or floor. 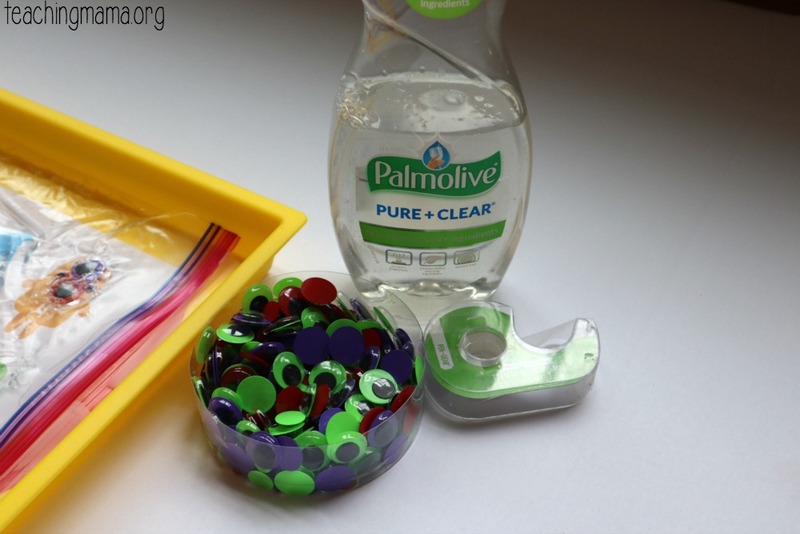 Squirt clear soap into the gallon-sized bag. You don’t need a lot, just enough for the eyes to move around. Spread it around the bag using your hand. Add in enough googly eyes for all the monsters. Make sure the eyes are facing up. Close the bag, while trying to get out most of the air bubbles. 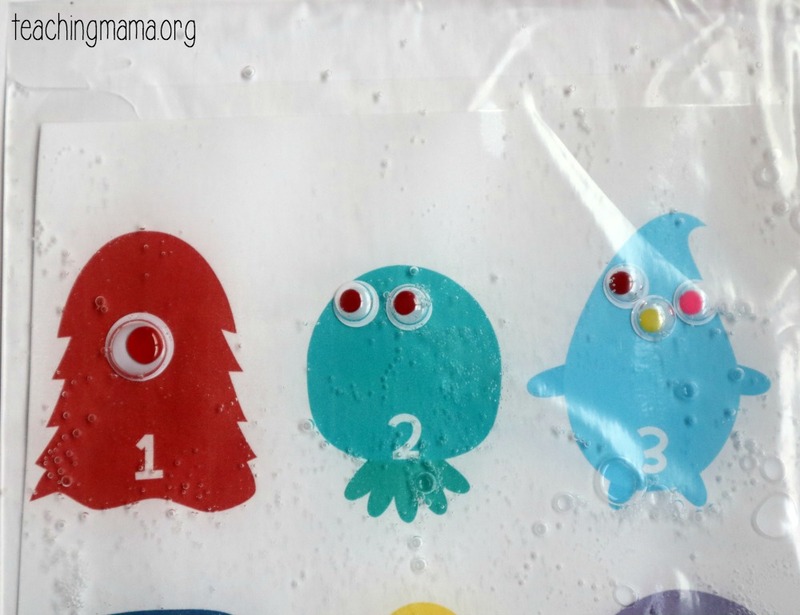 Invite your child to move the googly eyes around the bag using their fingers. Have them match the number of eyes to the number on each monster. 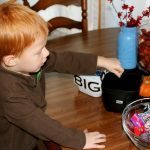 Moving the eyes around the bag with fingers helps a child with fine motor development. They are using small muscle movement, which is really important for young children to practice. Plus it’s fun! 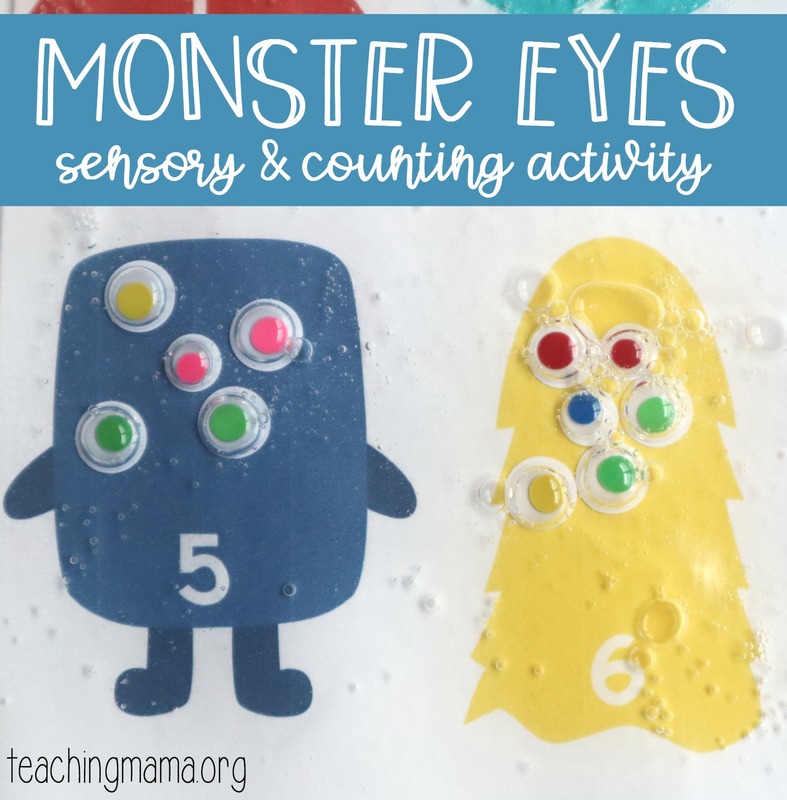 The goal is to match the number of eyeballs to the number on the monster. 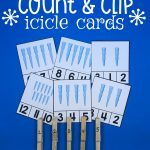 This helps a child with counting and one-to-one correspondence, or matching objects to numbers. 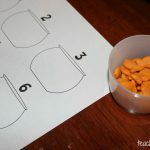 Both of these skills are important to a preschooler’s math development. Once they have the eyeballs on the monsters, they can arrange them to look how they want. This is their chance to be creative! 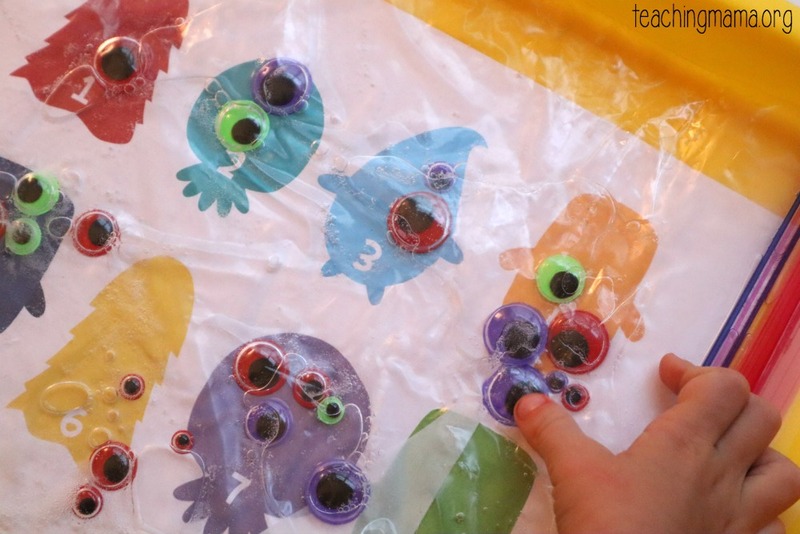 Watch this video to see how I created the monster eyes activity! 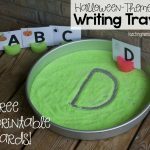 Hope you’ll try this mess-free activity out! What a great idea!!! I will try this tomorrow! Thank you so much for sharing!